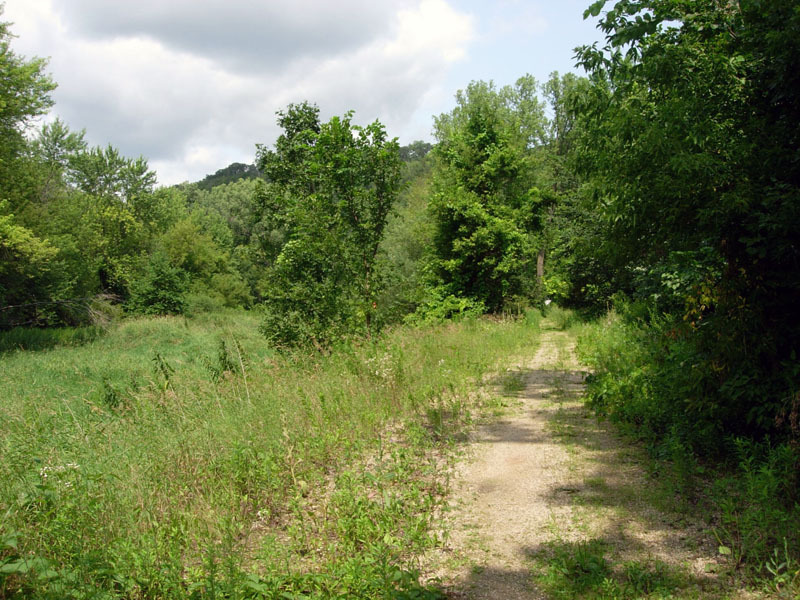 Located: East of modern U.S. 61 between the jct with County Road 46 and Cannon Bottom Road, in the city of Red Wing, Goodhue County. 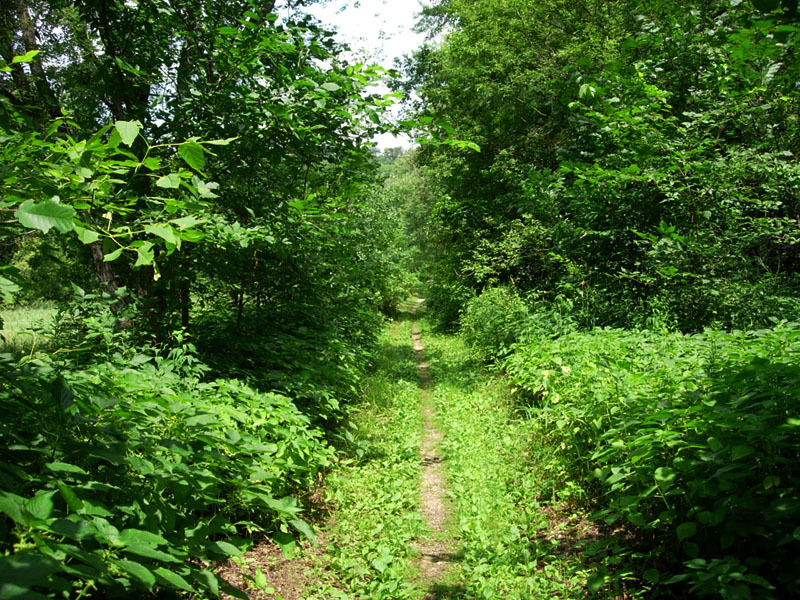 Historic Context: Primitive road temporarily used as a trunk highway, historic military road. Constructed: Originally built in the 1850's as part of the Mendota to Wabasha military road. Regraded in 1919. Bypassed: 1931, by construction of a new alignment. Status: Approx. 1 mile open and intact as a public road. 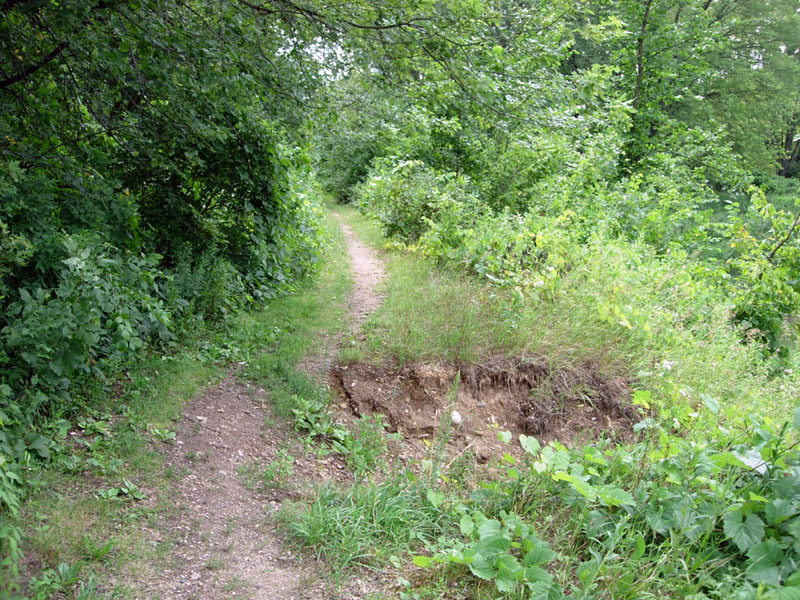 0.55 miles closed to traffic, becoming overgrown. 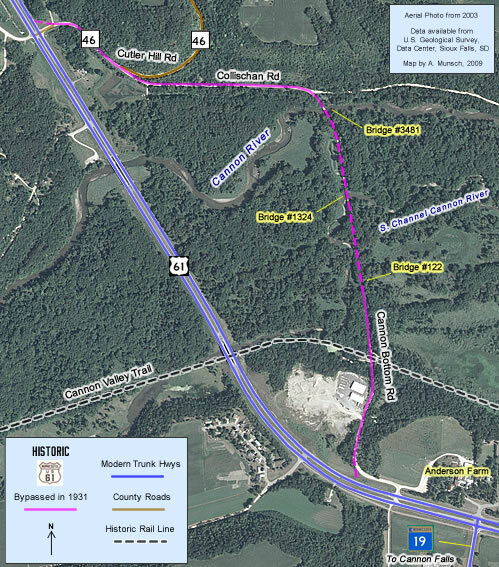 Access: Public portions accessible directly from Highway 61. Northern segment via County Road 46. Southern segment via Cannon Bottom Road (entrance just west of the jct with Highway 19 at the Anderson Farm). 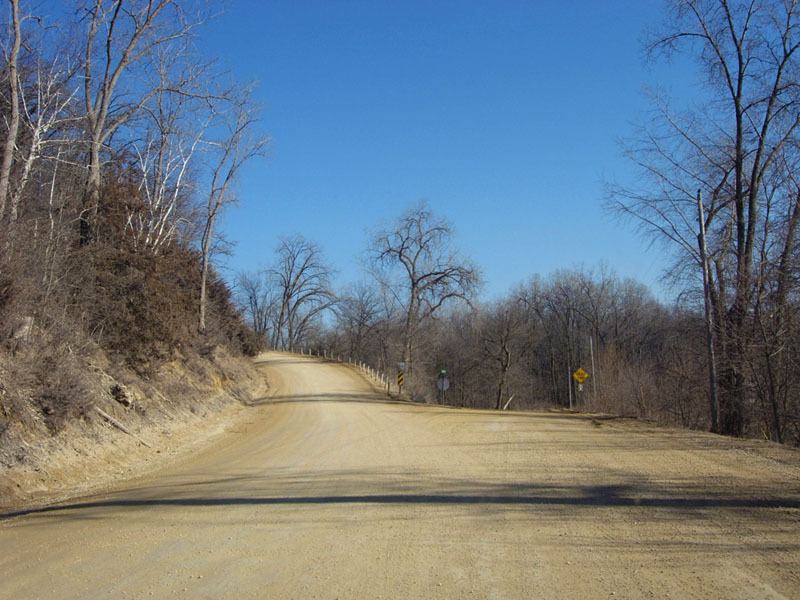 Originally constructed as part of the historic Mendota to Wabasha military road in the 1850's, the old road was improved by grading and graveling in 1919. It was added to the trunk highway system as part of State Route 3 in 1921, and given an oil treatment as a temporary pavement in 1927. 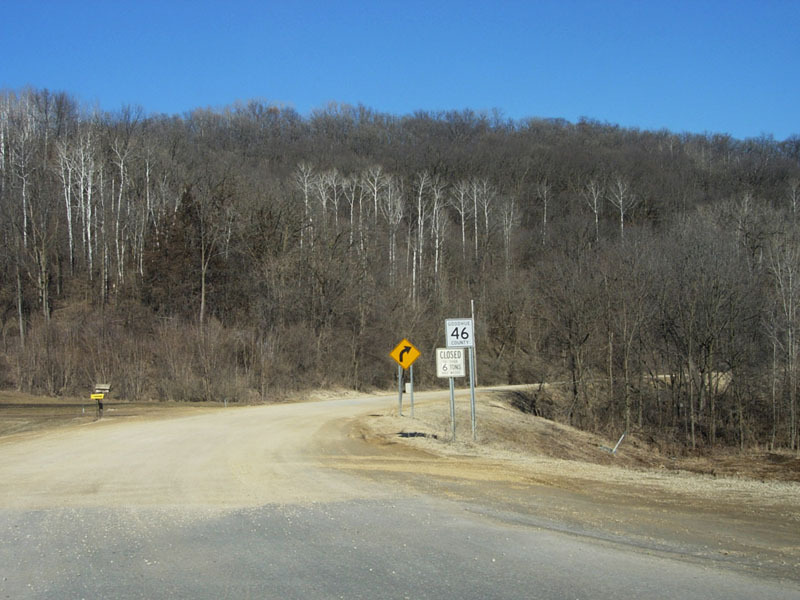 In 1931 the old road was bypassed by the construction of the first modern grade, the alignment of which is still followed by U.S. 61 today. The new alignment was straighter, and eliminated an at-grade rail crossing (now the Cannon Valley Trail). 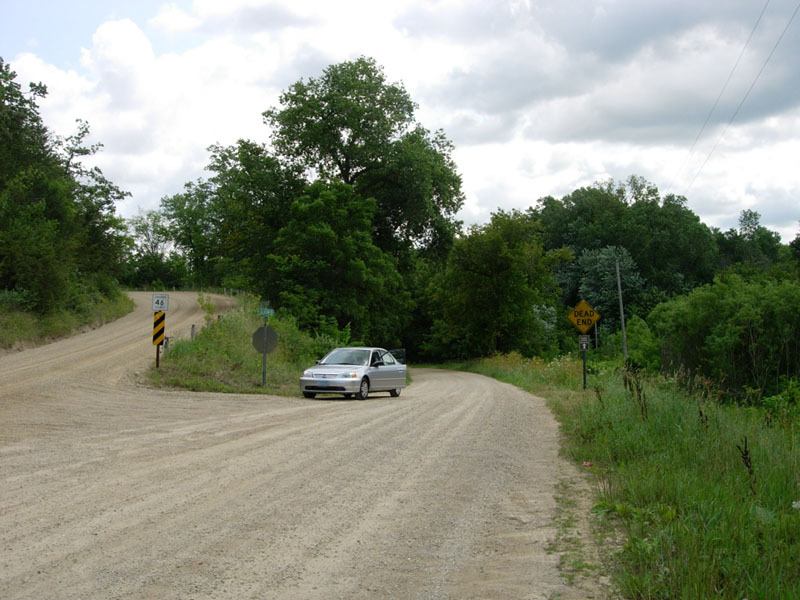 Today, most of the road has reverted to gravel, except for a short paved section on Collischan Rd, just east of the junction with Co. Rd. 46. 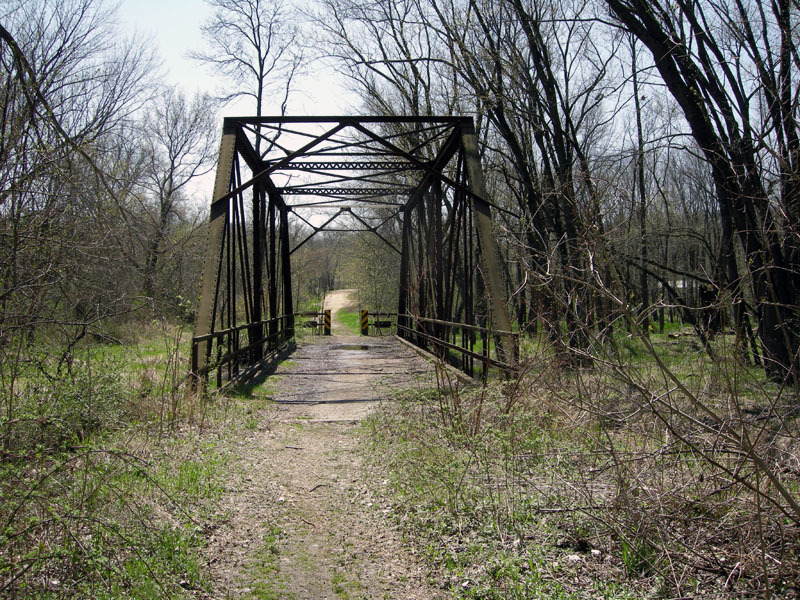 The road was added to the National Register of historic places in 1991. 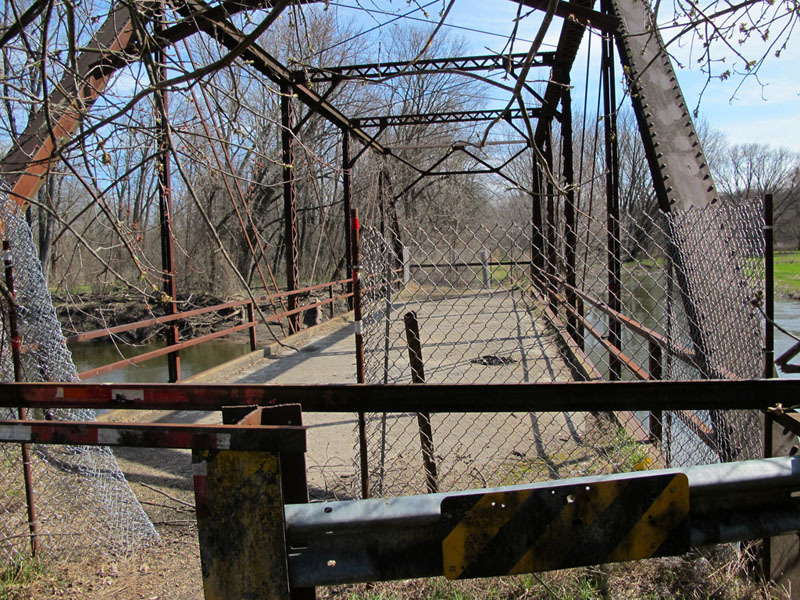 Although the road is accessible on both ends from modern Highway 61, the central section is now closed to automobile traffic due to the poor condition of the bridges (more details below in the photo tour). The closed sections and bridges are still walkable. The sections between the bridges have become overgrown. Several spots have also been destroyed by wash-outs. 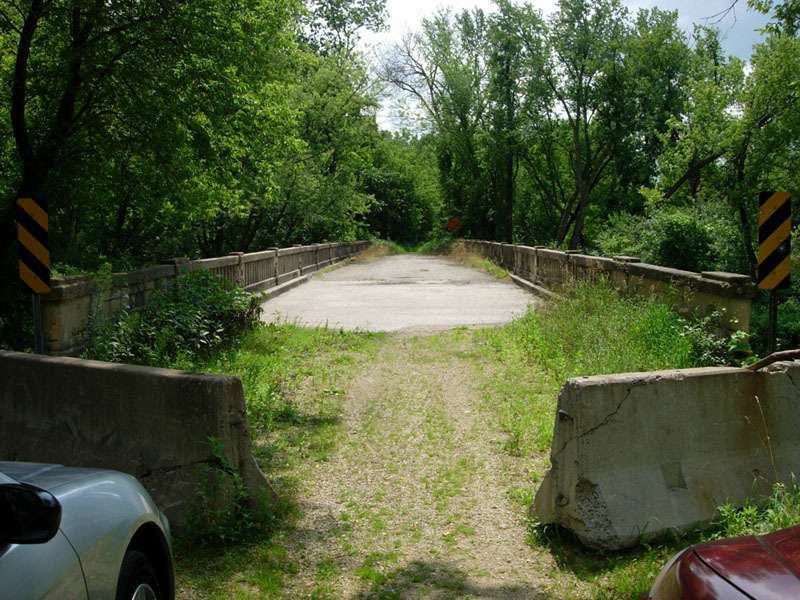 Harold Poylio of Red Wing recently learned that the city was planning on demolishing the three old bridges in 2010, pending the availability of funds. A letter he sent into the Red Wing Republican Eagle protesting the decision won their 'Golden Quill' award, causing "quite a stir". Hopefully his work will save the bridges. Design: 180' concrete deck girder. 22' roadway. 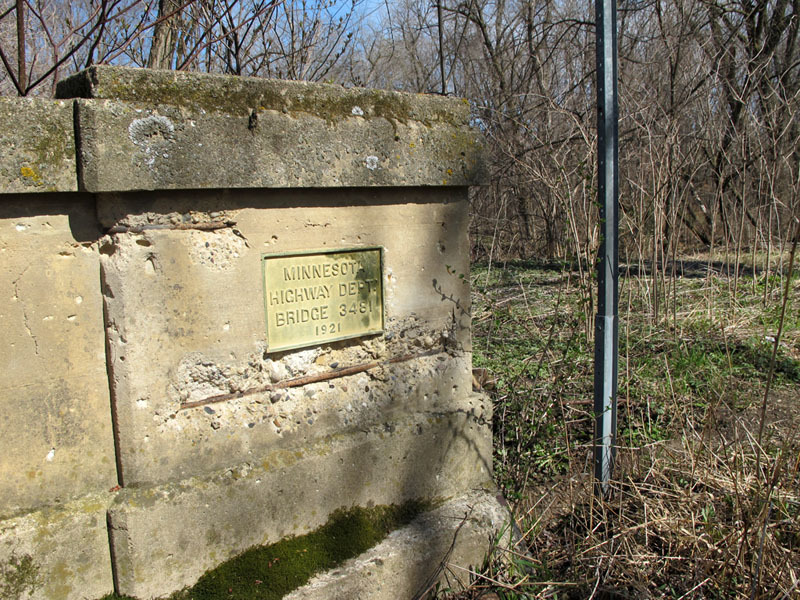 Historic Context: Early concrete bridge built by the Minnesota Highway Department. Status: Closed to traffic. In poor condition, demolition proposed by city of Red Wing. 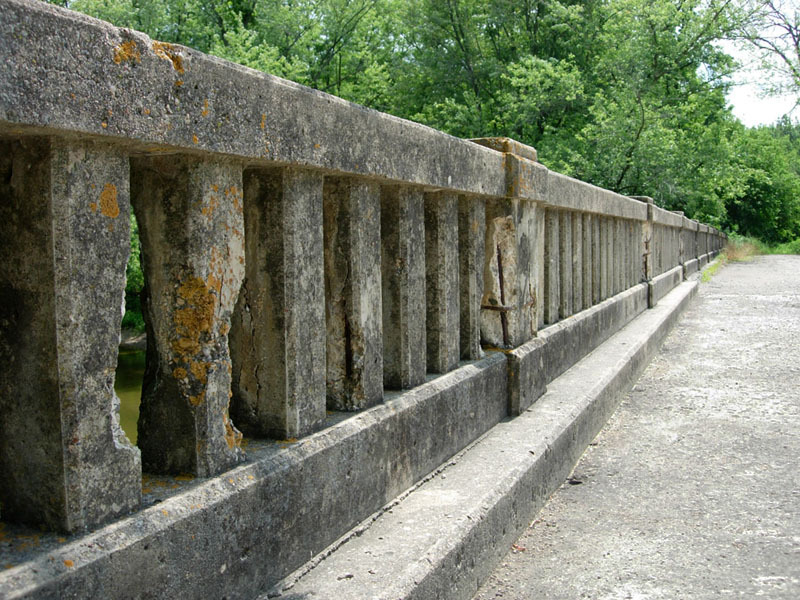 The bridge over the main channel of the Cannon River was constructed by the Department of Highways in 1921. 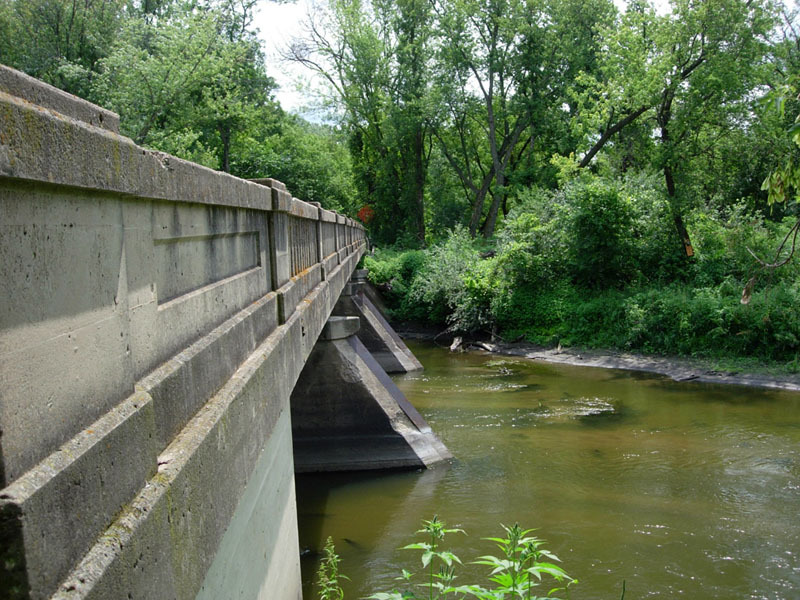 It is a classic example of the reinforced concrete deck girder design so often used during the first phase of the development of Minnesota's trunk highway system. However, this bridge is unique due to its length and open balustrade railings. Still open in 2007, it has since been closed to automobile traffic due to its poor condition and the constant flooding of the Cannon River in recent springs. 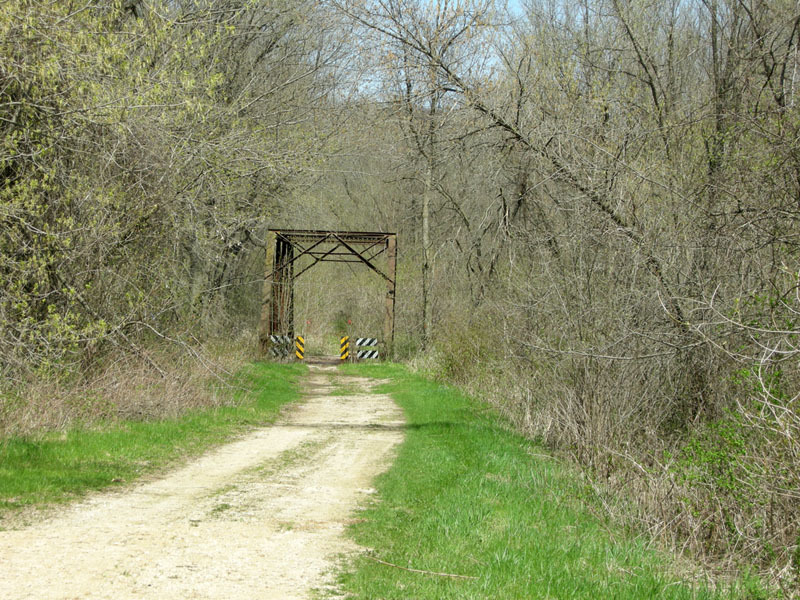 Approaching the bridge over the main channel of the Cannon River on the old road. The bridge was still open the first time I visited in March, 2007 (the gentleman in the car was fishing out of his window). A fallen tree and huge build-up of logs against the center pier of the bridge. Photo taken in July, 2008 by H. Poylio. The catching of debris has reportedly worsened in recent years. Apparently, the previous bridge over the main channel on U.S. 61 (a steel truss bridge constructed in 1931, replaced in 1993/94) had previously caught most of the debris heading downriver. The new set of bridges on the four-lane highway were designed with more clearance, exposing the old bridge to the full brunt of floating logs and other flotsam. 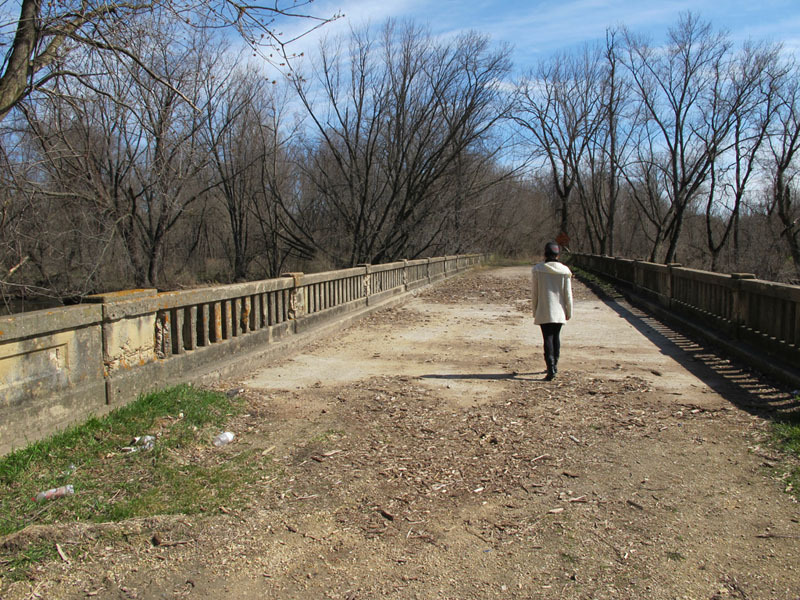 Another view to the south across the bridge from April, 2011. Looking south from the bridge over the main channel towards the south channel of the Cannon River. 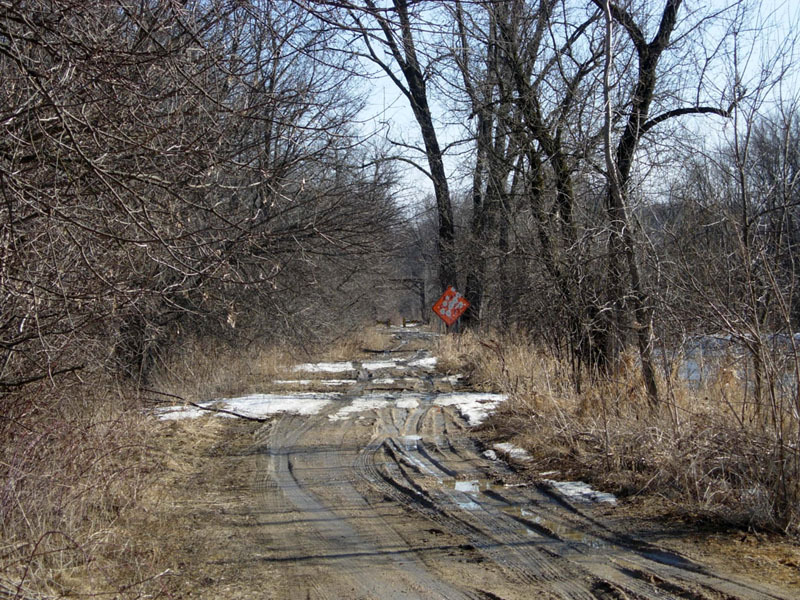 This portion of the old highway, now closed, was reduced to an almost impassable muck when I visited in March, 2007. 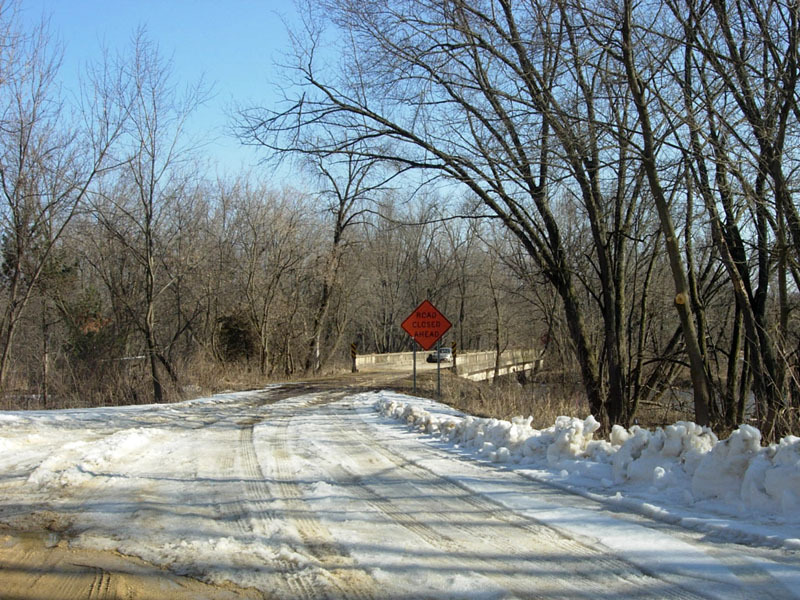 This scene gives a good idea of what early motorists may have faced during the spring thaw. From the look of the "road closed" sign this road is now used for more explosive activities. 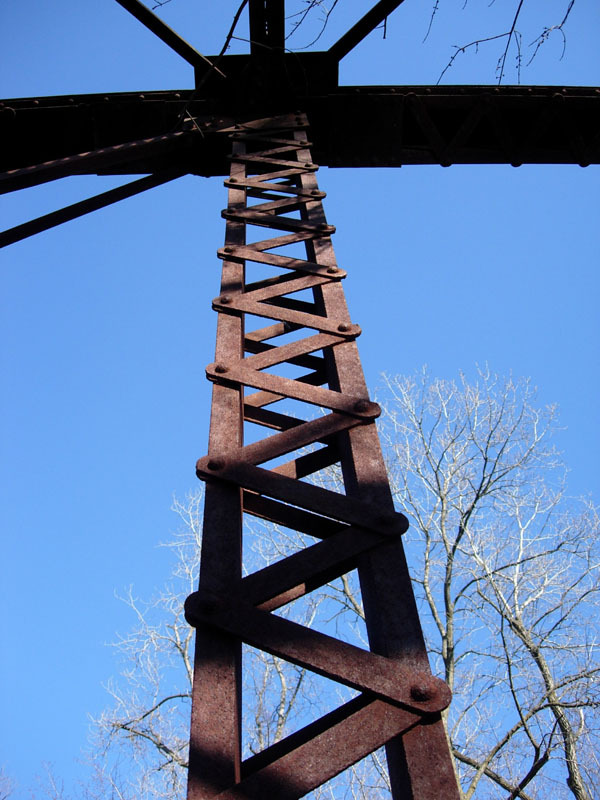 Design: 90' Pratt Steel Truss, 18' roadway. Constructed: 1915, by M.A. 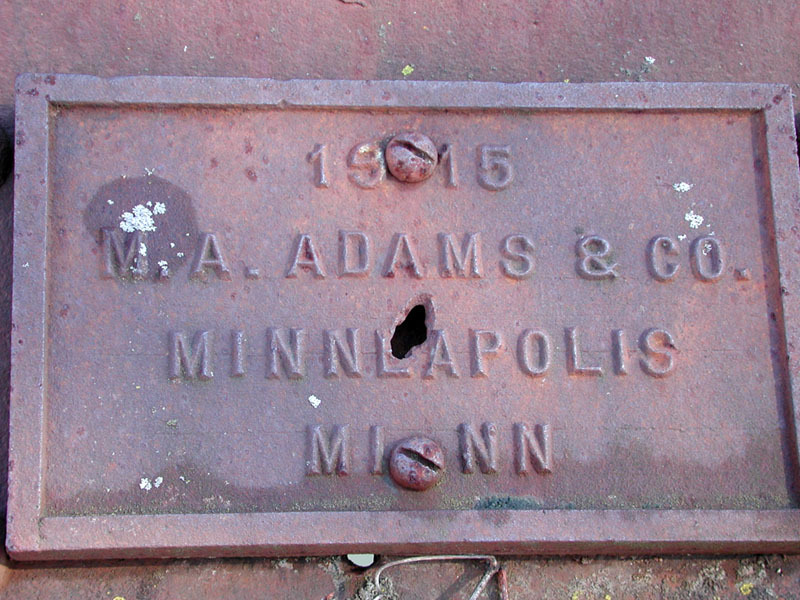 Adams of Minneapolis. 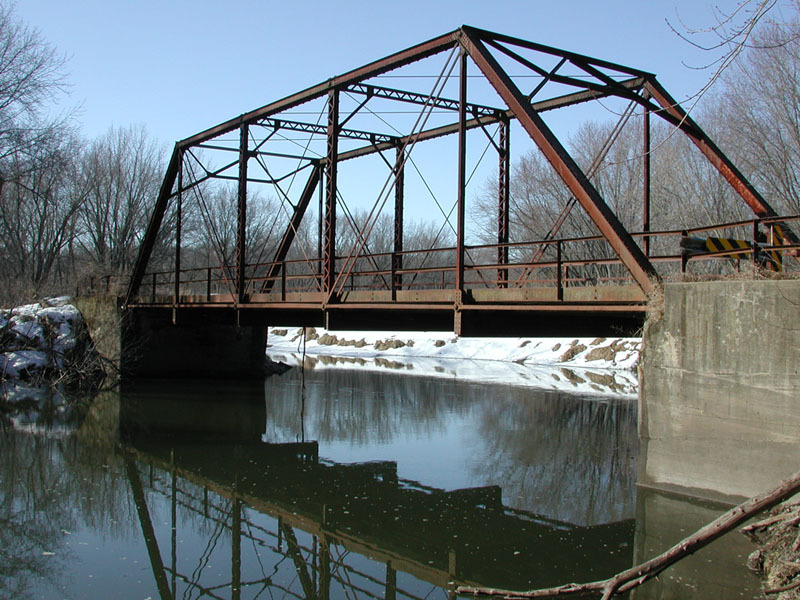 The bridge over the south channel of the Cannon River is a pratt truss structure constructed in 1915 by the Milo A. Adams Bridge Company. 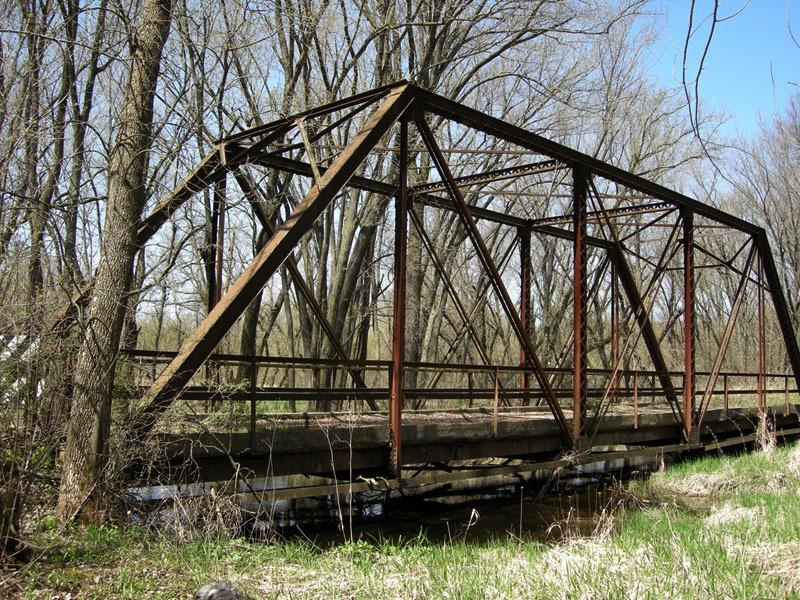 Adams, based out of Minneapolis, was one of Minnesota's earliest bridge builders. 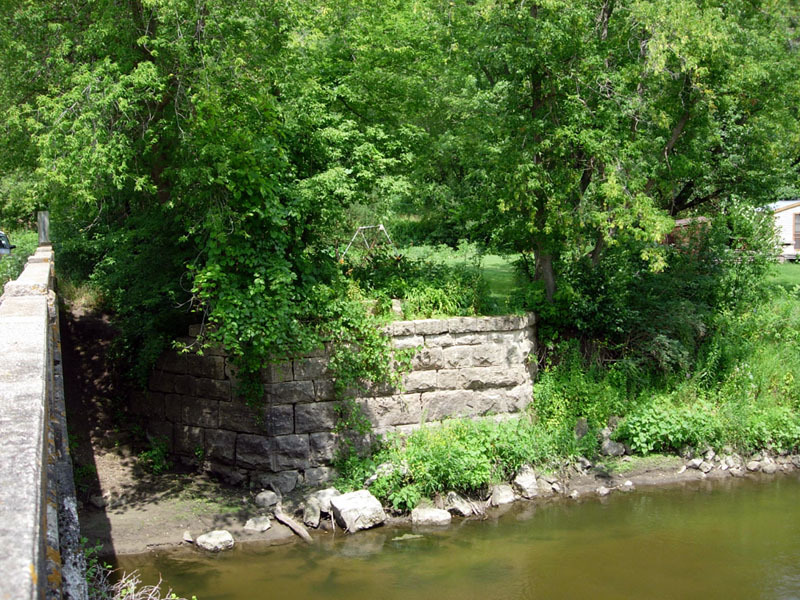 Famous for his diving ability, Adams helped construct the footings of the Stone Arch Bridge in Minneapolis before forming his own company. He remained active as a bridge builder in Minnesota until his death in 1922 (info from "Wood+Concrete+Stone+Steel: Minnesota's Historic Bridges", by Denis P. Gardner, University of Minnesota Press, 2008). 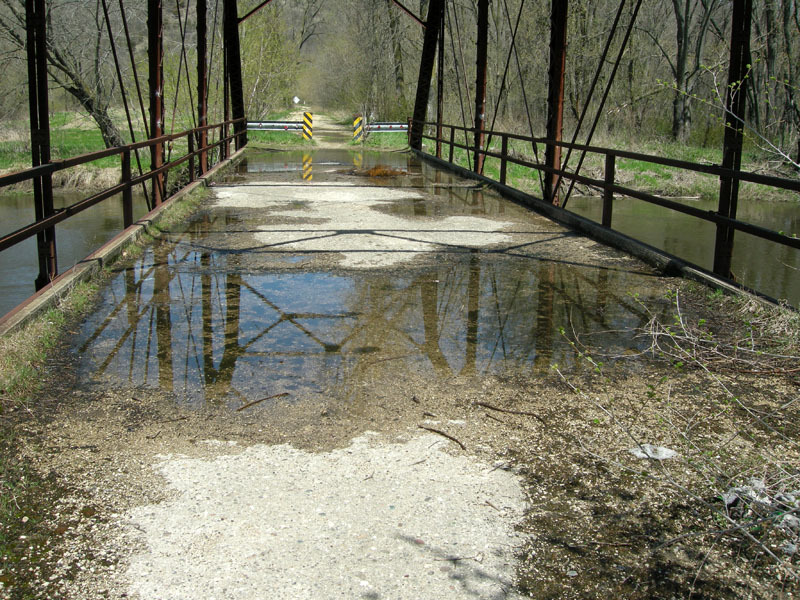 The bridge has been closed to automobile traffic for many years, but has remained open for hikers until being recently fenced off, perhaps due to the spate of flooding events in the Cannon Valley. View of the old bridge over the south channel of the Cannon River, looking southwest. Photo taken by H. Poylio in April, 2001. 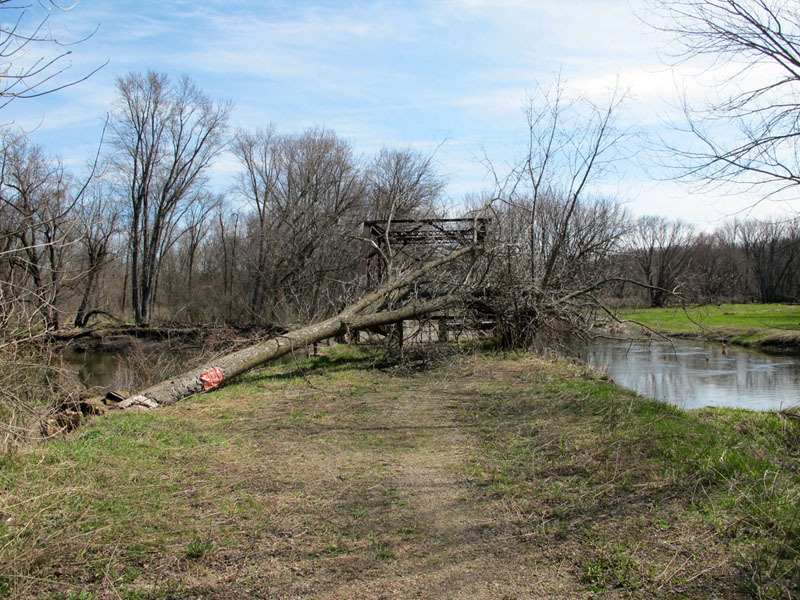 A tree felled by recent flooding now blocks the bridge's north end. April 2011. Chain-link fencing has been placed across both ends of the bridge to keep people off (as you can see, it hasn't worked very well). Water on the bridge due to the 2008 flooding. Photo taken in May, 2008 by H. Poylio. Dedication plaque for bridge 1324. Photo by H. Poylio, April 2001. Looking north towards bridge 1324 on Cannon Bottom Road. Photo taken in May, 2008 by H. Poylio. 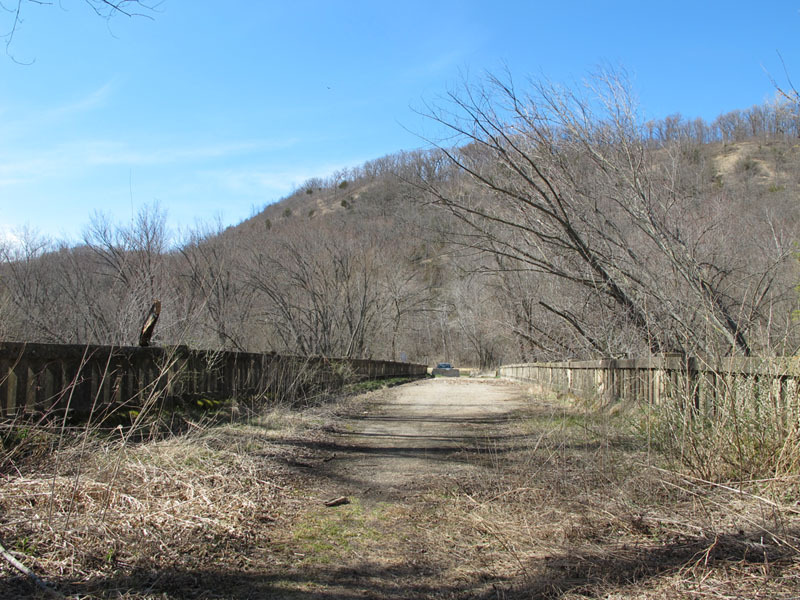 The southern most of the bridges on the old road crosses what appears to be a side channel of the Canon River. Constructed in 1911, it is the oldest and most structurally deficient. To add insult to injury, part of the north embankment has given way. The bridge's design is basically identical to bridge over the south channel, which would seem to indicate that Milo Adams may have been responsible for this bridge as well. 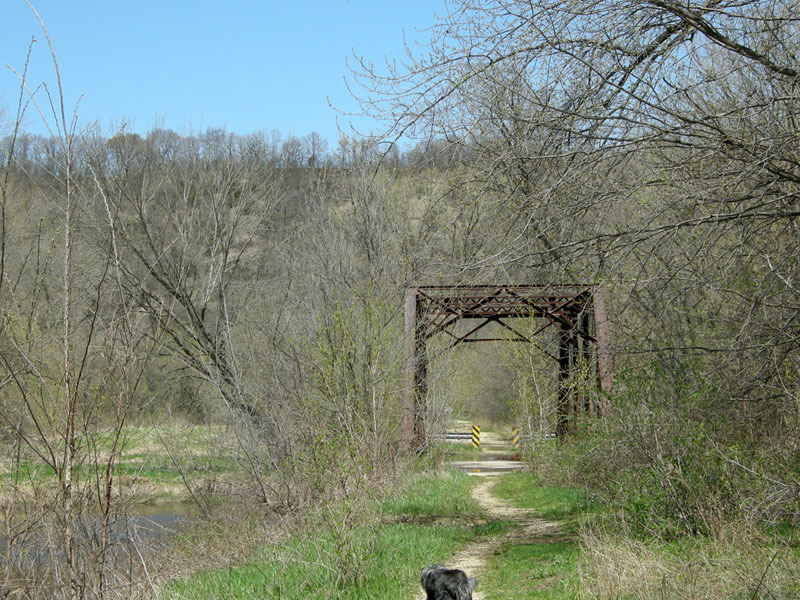 This bridge is the easy to access, as it is just north of the parking lot for the Cannon Valley Trail. Bridge 122 in profile, looking northwest. Photo taken in May, 2008 by H. Poylio. Looking back to the south across bridge 122. Ahead you can see the old highway starting its ascent out of the Cannon River Valley. Photo taken in May, 2008 by H. Poylio. Approaching bridge 122 from the south on Cannon Bottom Road. Photo taken in May, 2008 by H. Poylio.